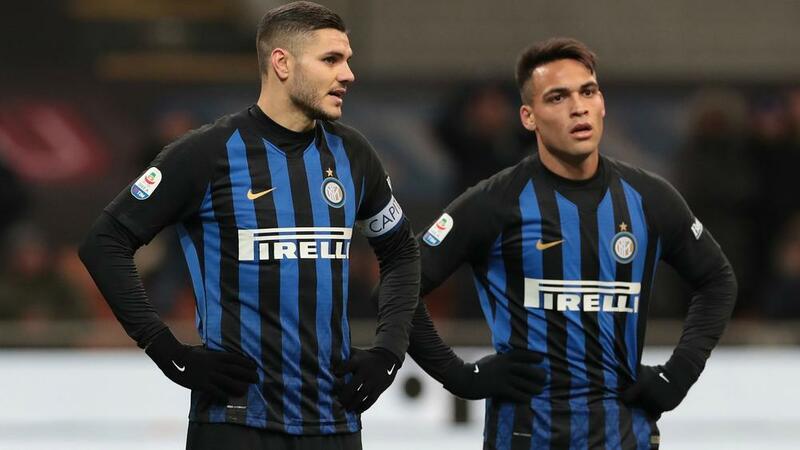 Lautaro Martinez said he hopes Mauro Icardi returns soon as he lent his support to the former Inter captain. Icardi's future at Inter is uncertain after he was stripped of the captaincy last week and replaced by goalkeeper Samir Handanovic. The 26-year-old, who has been linked with Real Madrid, Manchester United and Barcelona, was absent for the Europa League clash against Rapid Vienna and the Serie A victory over Sampdoria. Icardi is reportedly set to undergo tests to determine the extent of his apparent injuries and fellow Argentinian Martinez said he and his team-mates are supportive of the forward. "Today [Tuesday] was his birthday, we said goodbye and congratulated him, he was happy to be with us," Martinez told Sky Sport Italia. "We will continue to support him, as his future will depend exclusively on his decision and who manages it: not by us team-mates. "For us he is a very important player. We hope to have him back soon." Icardi has not played since losing the armband but prior to that, he went seven Serie A matches without a goal.